Copyright Notice for ArtistsGuide.Net and TAG2nd.com also including The Artists Guide to Success in the Music Business 2nd Edition Copyright Notice information. All information you receive online from this site is owned by Loren Weisman and is protected by the copyright laws of the United States. Information includes, but is not limited to, photographs, graphics, stories, sound clips and video files. This is the full copyright notice. The copyright laws prohibit any copying, redistributing, retransmitting, republishing or repurposing of any copyright-protected material. You may download information from this site for your personal, noncommercial use, provided that you do not copy or redistribute it. If you wish to redistribute or republish information from this site, you must obtain written permission from Loren Weisman and EDYP LLC. Both Loren Weisman and EDYP LLC reserves the right to withhold permission for any reason. Blogs from Brand Precision Marketing Strategist and Counselor Loren Weisman may be added to other websites as links or full body content as per this copyright notice. We request a credit to Loren Weisman and a link back to the original posting. Loren Weisman is happy to have posts and videos shared, but please show the respect to credit accordingly. 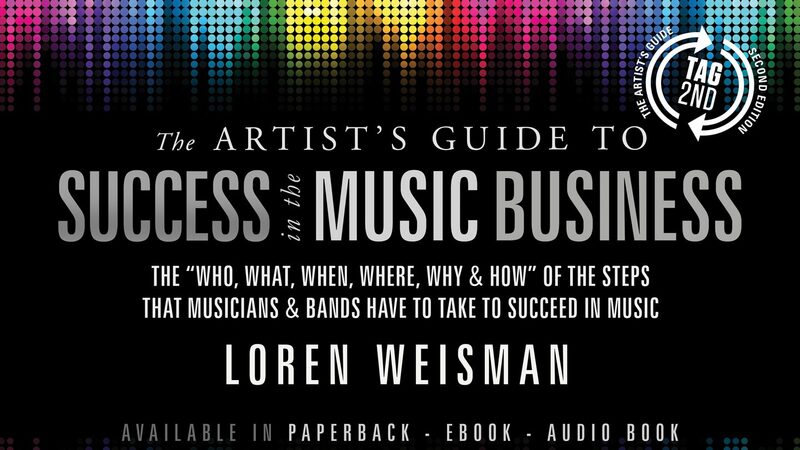 This does not include reprints or use of content directly from The Artist’s Guide to Success in the Music business. Anything from the book needs to be cleared by Loren Weisman and/or Greenleaf Book Group prior to reprinting or publishing. All quotes are referenced by their original authors. If you find any contradictions or incorrect quotes as well as any quotes credited as unknown that you are aware of the author, please send an email to info (at) lorenweisman.com with the Subject: Corrections. We strive to make sure all quotes or content not created by Loren Weisman are properly and correctly credited.